The Electronic System for Travel Authentication works alongside the Visa Waiver Program to check that citizens from participating nations in the program meet requirements to enter the United States of America. The system affectively works as a pre-authorisation system to access the Visa Waiver Program for the entitled individuals. ESTA holders may stay in the country for 90 days upon entry, however the prescreening process does not guarantee the right for individuals to enter the country which is still down to the US Customs and border protection securities discretion. It is recommended to apply for ESTA at least 3 days beforehand. Those without an ESTA will be denied entry when flying into the country. In many cases at check in, airlines will refuse passengers on the spot who do not have ESTA approval. It is therefore very important to get your ESTA approval on time. In some cases however ESTA approval is not a requirement and therefore applying for the ESTA approval would be complete waste of time. You may find that through your point of entry or current USA Visa status that you do not need to apply for ESTA approval even though you are from a country which is part of the Visa Waiver Program. To avoid wasting your time it is always worth checking in advance. It is not easy always easy to find out this kind of information on your next travel destination. But the following are examples of when you need not apply for ESTA before travelling to the United States of America. ESTA is only required for those who enter the United States of America via plane or sea. Citizens from nations on the Visa Waiver Program that enter by land from Canada or Mexico are not required to apply for ESTA. Also another exception is when VWP citizens travel from Vancouver and Victoria by ferry also from BC by ferry to Washington State. This way of entering the United States of America is treated in the same way as when entering by land. If you are from one of the VWP countries but you are already a lawful resident of the US, then on no occasion would you require applying for ESTA. Since you already legally live in the United States of America this is simply not applicable to you. So don’t worry, this is your home now no need to mess around with things like ESTA! This is common sense really. If you have a business visa such as the B1 Visa, or any other type of Visa then you do not require ESTA Authentication. The sole purpose of the ESTA system is too ensure that citizens eligible under the Visa Waiving Program can securely visit the United States without the need to apply for a visa. If you already have a visa, then the system is irrelevant to you since your visa has already provided you with the authentication and allows you to enter the United States of America. Florida is a really nice place, it is beautiful and sunny, the people are nice, and there is a lot to do and see for families. Each city in Florida has its own special flavor and things to do. You can do what you want and have as little or as much excitement as you can handle. You can ride roller coasters or just walk along the beach. Florida is the place to go. Take an amazing family holiday to Florida. Here is our take on a few of the cities. This is one of the more quiet places to go when you like to commune more with nature. This is where you go for the flora and fauna. You can hike or bike through the various trails, watch dolphins, look for manatees, or take kayak tours. For the eco- adventure family, this is the place to go. On the opposite end of the spectrum from Sanibel is Orlando. This is where the majority of the theme parks are. Legoland, Universal, Disney, SeaWorld, and on and on. You can go to a different attraction every day and still not make it through all of the attractions in 2 weeks. Most of the individual attractions themselves you could not make it through in a single day. This is an ultimate location for families that love theme parks. Miami is more of a big city filled with a lot of nightlife. During the day you can spend time at the beach, swim, surf or other beach activities. You can go to the zoo or the sea aquarium, all great things to do with kids. At night the adults can go out dancing and to some of the hottest clubs on the east coast. If your family trip is filled with little ones, then this is a good choice for a destination. Many things in Tampa are structured towards children. There are various amusement parks in Tampa as well as the Lowry Park Zoo which was voted the number one family-friendly zoo in the United States. There are a lot of things to do in Tampa for you and the kids. Most famous for spring break, Fort Lauderdale has changed over the years to a much more upscale place. 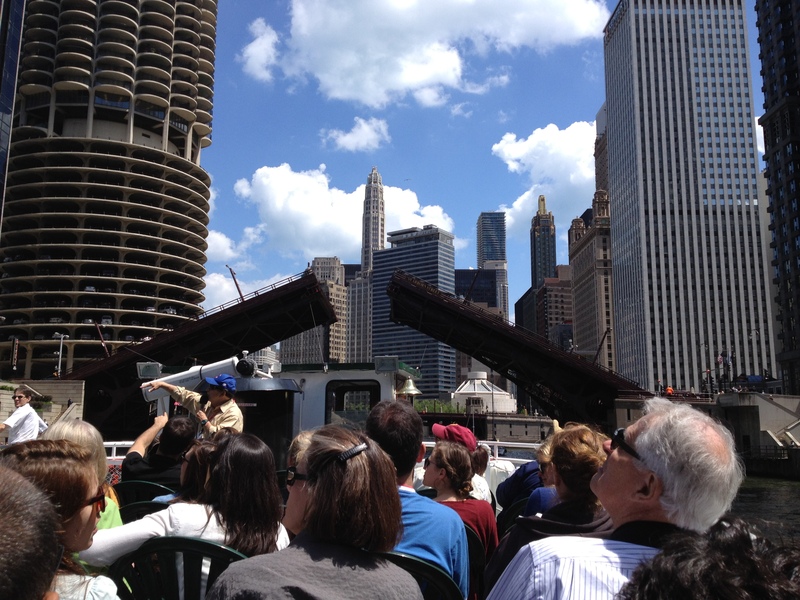 There are lots of museums and marinas and many things for tourists to do. It is well known for good hotels, shopping and golf courses. A really nice place to visit is what is called the strip. This is a strip of restaurants that run along the land side of the beach road where you can sit and watch the world go by. There are many other cities and places in Florida to go to. These are just some highlights, and travel tips, of some of the places to take your family. Each city is like a layer of an onion; once you get there you can keep peeling away skin after skin to see more and more. There’s something for everyone in each of the cities. Come visit Florida, have a look around, and fall in love with the place, then you’ll know why so many people retire here. See you on the beach. When you think about memorable vacations you can take, your mind probably runs wild. You can go run with the bulls in Spain, you can travel the Maldives and stay in a villa on the ocean. You might travel to Ibiza and have a non-stop party, or even go backpacking though Eastern Europe staying at hostels and eating local food. All of these trips would definitely produce life-long memories that you would treasure. Before we talk about an Alaskan cruise, let’s dispel some of the commonly held beliefs about cruises. Cruises are for Retirees: Throughout their time cruises have welcomed people of all ages and families with young kids as well. The cruise industry works tirelessly to create trips that appeal to all age groups. In fact, today there are even cruises for young singles who want to mingle. The entertainment options for people on cruises are just like those of a great vacation town; great restaurants, swimming pools, discos, and cafes and many have lots of additional amenities like casinos. I Get Ill on the Water: Most cruise ships are so large that you can barely feel any movement. New stabilizing tech also makes smooth any rough waves that might be present in the water. So you hardly ever know you are on water. And just in case, there are tablets that are very effective at quelling any seasickness. Alaska is a beautiful country with thousands of sights and sounds that delight the senses. It is also rugged and unexplored and taking a trip through its rough terrain is very challenging. A cruise allows you to see much of Alaska from a distance and appreciate its raw beauty from arms- length. The cruise ship will stop are several towns where you can disembark and get face to face with the wilderness, but it is all controlled so you are always safe. The cruise ships contain every conceivable amenity, so you can get your dose of Alaska but remain in the highest levels of comfort. Most people mistakenly think that cruises are more expensive than conventional vacations, but they are not doing the math properly. A cruise is an all-inclusive experience that includes the cost of your accommodation, transportation, entertainment and your meals. 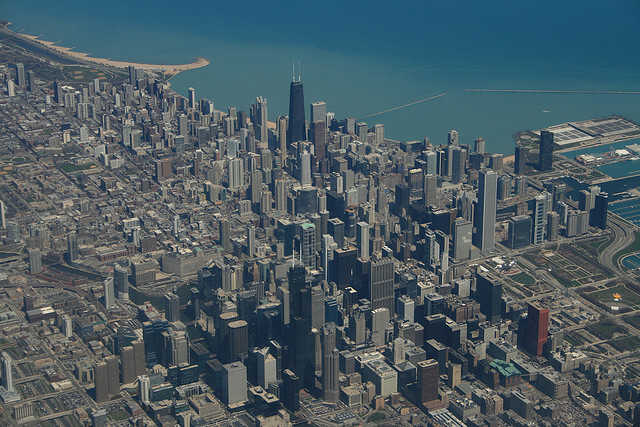 In some cases discounted airfare is even added to get you to your home city if needed. When you look at the costs from this perspective, you can see how there is a cost savings over a comparable traditional vacation. Also you can pick the quality of cruise you like, therefore meeting your vacation budget. Alaska is a beautiful place to reconnect with nature and find undiscovered wilderness. 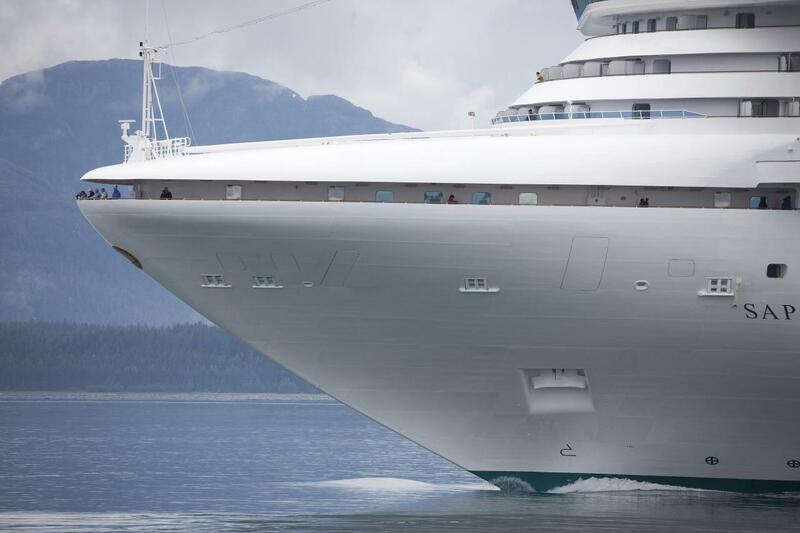 Taking a cruise takes you to Alaska in a manner that allows you to go in style and safety. Have a look into taking this once in a lifetime adventure. Unlike many other nations in the developed world, entry into the United States of America is tightly controlled, even for western nationalities. Even Canadians, who have the easiest requirements to meet, are routinely grilled with questions by eagle-eyed border guards trained to sniff out individuals with less than noble intentions. As long as you look into visa waiver programs before booking your ticket (which will allow you 90 days of travel in America for business and/or pleasure), and remain calm as you answer the queries that Homeland Security asks of you, everything will be fine. 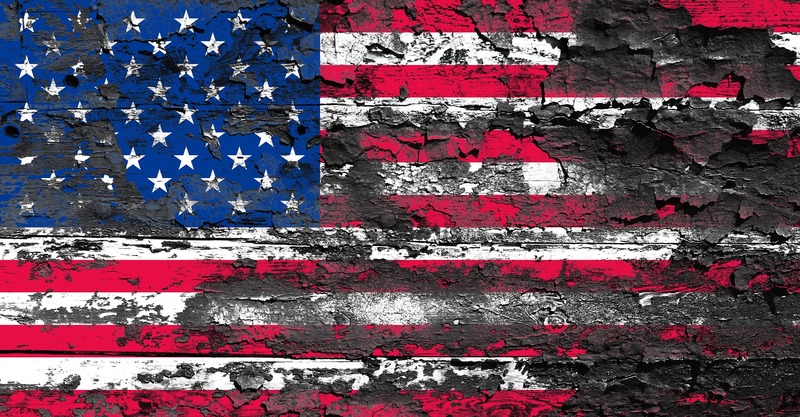 The USA is not like the United Kingdom or France – measuring 4,314 kilometres east to west, and 2,514 kilometres north to south at their widest points, this country is impossible to experience in its entirety during the standard two week holiday. Even if you use the maximum 90 day allotment that your visa waiver provides you, you’ll be constantly rushing around, which will make it hard to soak in your destinations. As a result, it is best that you confine yourself to one or two geographical regions during your stay in the USA. Throughout much of the Western world, gratuities for workers in the service industry are either included in the bill, or wages are at a rate that makes leaving a sizable one unnecessary. In America, the choice of whether to leave a tip is left up to the consumer. Most citizens opt to do so for even sub-par service though, as wages for many jobs in this sector in the USA are very low ($2.13 an hour, though servers that don’t make enough in gratuities in a given month are topped up to $7.25 an hour over the amount of time that they worked). For acceptable service, 15-20% is standard, and locals are more than happy to tip more than that for an exceptional experience. Just drove away from the airport in your rental car, and are shocked at how slow freeway speed limits are in the USA? Unless you are from Germany or Italy, you might be mistaking miles per hour for kilometres. Units in America are still in imperial units, despite most other nations switching to metric more than a generation ago. Other things to watch for: temperature is in Fahrenheit, petrol/gas is sold by the gallon, and product measurements are in ounces and pounds. It’s good to start pre-planning a while in advance as flights can be anywhere up to $600 one way depending on where you are flying from. Expedia often run deals, sometimes you get upto 60% off last minute offers, these can be found on mamma.com. Make sure you look out for various deals and get saving well in advance. Orlando’s central location makes it the perfect hub for families who want to explore all that Florida has to offer. Since flights to Orlando are often rather affordable, your family can fly to Orlando, rent a car, and start your adventure. If you stick to a schedule, you could see many of the state’s best cities within less than two weeks. As you travel, make sure you visit these museums in Florida. They offer unique views that you won’t find anywhere else. 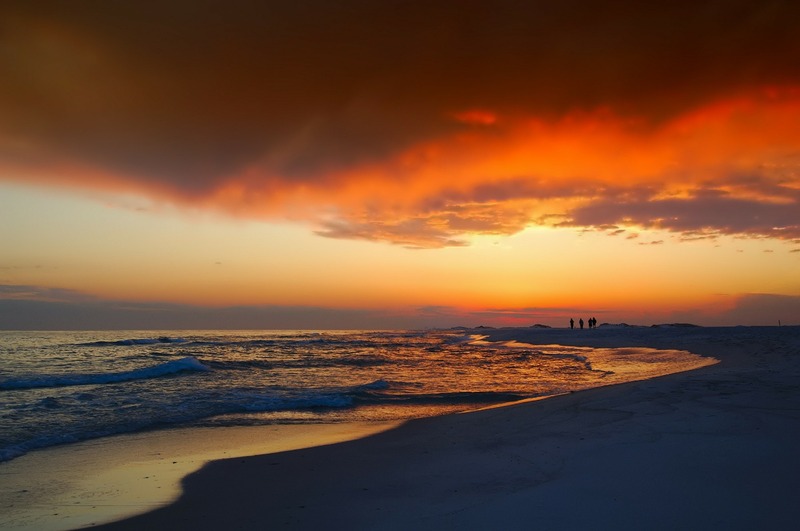 They can also act as cultural anchor points that will help you balance Florida’s amazing restaurants and beaches with something more educational than snoozing the day away on the sand. You might as well start your educational tour of Florida in Orlando. The Orlando Science Center will give you time to relax after your flight while you visit some of central Florida’s finest science exhibits. Orlando Science Center has several permanent exhibits as well as some traveling exhibits and special events. It’s suitable for kids and adults. You’ll learn about the natural world, biology, weather, and space. It’s interesting but doesn’t get too technical, so don’t worry that it will all go over your head. Take some time to visit the Crosby Observatory and its 10-inch lens refractor telescope. It’s the largest telescope in Florida, so you will get a view of the planets, nebulae, and stars like never before. The observatory has some night hours. Check the website so you can schedule your visit on a day with hours after dark. Admission: $18, discounts for children, students, and seniors. Military personnel get in free. 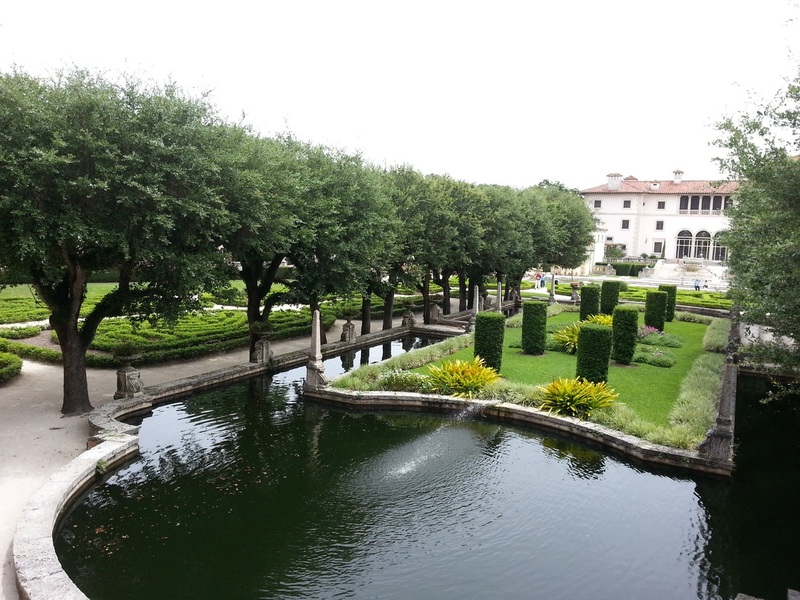 Vizcaya is a sprawling estate built by Miami businessman James Deering. The villa sits on 50 acres of preserved gardens and native forest. About ten acres are devoted to immaculate gardens designed to mimic the style of those owned by royalty and wealthy merchants during the Italian Renaissance. While the formal gardens are spectacular, anyone who loves nature will want to visit the native forest. Miami’s growth has removed most of the native forests along Biscayne Bay. The native forest was a barrier to commercial and residential developments, so most of it was replaced with buildings. Vizcaya is one of the few places where you can see what’s left of the forest. Standing along the water, it’s possible to imagine the dense trees stretching along the bay. The villa has been turned into a respectable art museum. It was actually the Dade County Art Museum in the 1950s. You’ll want to spend the night in Miami before making the drive to Key West. I recommend Hotel Urbano. It’s close to Vizcaya and has beautiful rooms affordable rates. Admission: Adults: $13; Children: $6; Children five and under get in free. It takes about three and a half hours to drive from Miami to Key West. Take your time and enjoy it. Hopping from island to island is a great experience unlike any other drive in the USA. During the drive you can feel your mindset switch from the hustle of Miami to the relaxation on the Keys. Make reservations at The Gardens Hotel to make the trip even more enjoyable. You can’t really choose a bad hotel in Key West, but this is one of the best options for privacy at modest rates. 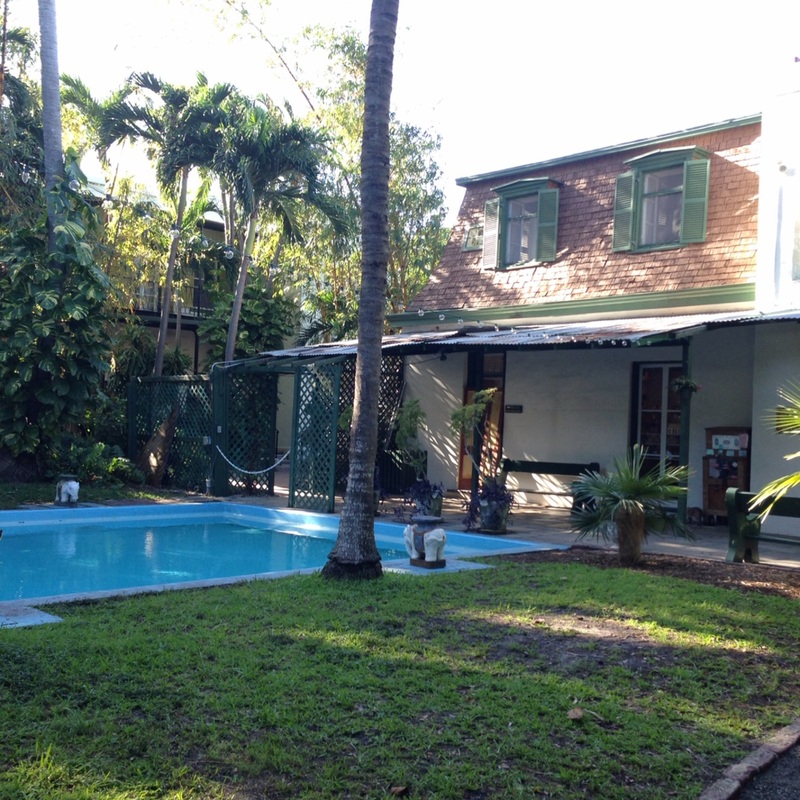 It’s not exactly the cheapest hotel in the world, but nothing is really cheap in Key West. Besides, it’s worth splurging a little. Unless you decide to move to Florida, you probably won’t make the trip to Key West again in the near future. The Ernest Hemingway Home and Museum is one of the area’s most historically significant buildings. Hemingway wrote “For Whom the Bell Tolls” and “The Snows of Kilimanjaro” while living there. It’s a spectacular house purchased for him and his wife by a wealthy relative. While visiting, check out Hemingway’s extensive library to get an idea of what he was reading while working on some of his most popular stories. Every aspect of the Dali Museum honors the passion and humor that made Salvador Dali one of the 20th Centuries most celebrated artists. The museum displays several of Dali’s artworks. Anyone who loves art should visit the Dali while passing through St. Pete. The building itself is a wonderful tribute to the Spanish artist. The large helical staircase symbolizes Dali’s fascination with DNA sequences. There’s even an outdoor sculpture of Dali’s trademark handlebar moustache. 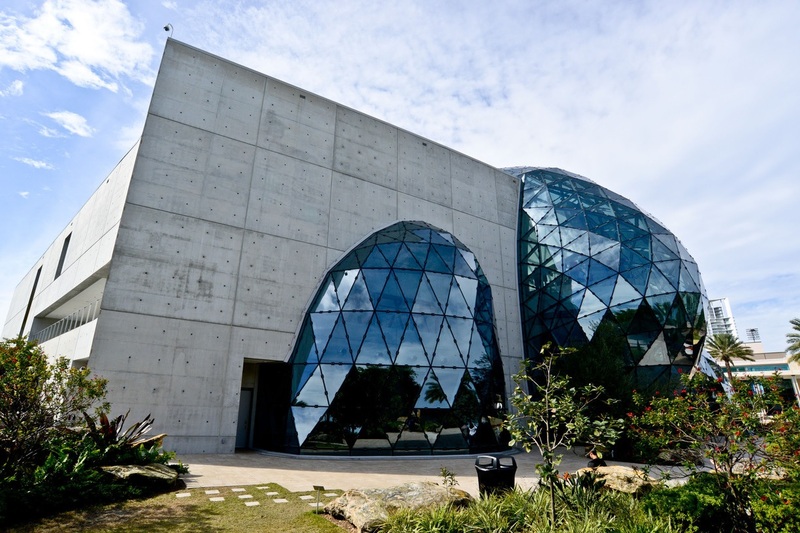 Try your best to visit the Dali Museum on a Thursday or Friday, when it stays open late. The outdoor garden offers a wonderful view of the sea as it sets into the Gulf of Mexico. If you want to spend the night in St. Petersburg, stay at Hilton St. Petersburg Bayfront so you can reach the Dali easily. It’s less than a mile away. It only takes half an hour to drive from St. Pete to Tampa. You can easily make Tampa part of your stay in St. Petersburg or visit it on your way back to Orlando. Just give yourself plenty of time if you plan to board your plane on the same day. Make a stop at the Florida Aquarium while you’re in Tampa. The Aquarium recently opened a new exhibit called Ocean Commotion that has a huge collection of strange sea life. It’s pretty amazing to see how these creatures adapted to their underwater environments. You will also want to visit the Coral Reef exhibit. It does a good job simulating a 60-foot dive into the ocean. It’s as close as it gets without suiting up and jumping in the water. Matthew Thompson is a writer and blogger based in Louisville, KY. You can follow him on Google+ or check out some of his latest travel writing on the Hipmunk website. Welcome to Kauai, it has the distinction of being the oldest island in the Hawaii’s. Its natural beauty is spectacular and attracts people from far and wide. Every year it receives over 440 inches of rainfall. This stunning places as diverse geographical features like deserts and beaches, forests and swamps besides mountains on its little over 550 square miles area. It has four distinction regions, each with its own natural attractions – the shores on North and South along side views on the east and west. This remote yet stunningly beautiful island is dotted with beautiful spots. The Hanalei Valley Lookout offers great opportunities for those beginning to explore Kauai, and for clicking photos. It is in Hanalei; alongside several waterfalls one might find a rainbow. Visiting this magical place is a must on very Kauai itinerary. Towards the west side is the Hanapepe Swinging Bridge. This came up in 1900s simply from crossing the river. Today it takes one across to the Hanapepe town that has many galleries, shops and galleries providing an insight into the local artists’ works. People from all across the world love to holiday in the Hawaii islands. Kauai in specific is popular wedding destination too. Number of Americans flock to holiday at its beaches. The visit this picturesque place most of the foreigners seeking to visit this part of the USA would need to apply for a temporary visa like the tourist visa. It is important to note that citizens of some countries that have already been listed in the Visa Waiver Program may travel without one. These travelers would just need to check ESTA visa status and plan their visit. Another crowd puller is the Kilauea Lighthouse and Wildlife refuge. It closes on all federal holidays besides Sundays and Mondays. The National wildlife refuge here was started in 1985. Hawaiian seabirds thrive in the area, the cliffs and slopes are overshadowed by the lighthouse. For wildlife animals too it provides a natural habitat. It is home to the Hawaiian monk seal, Humpback whale and Green sea turtle all of which are on the endangered list. 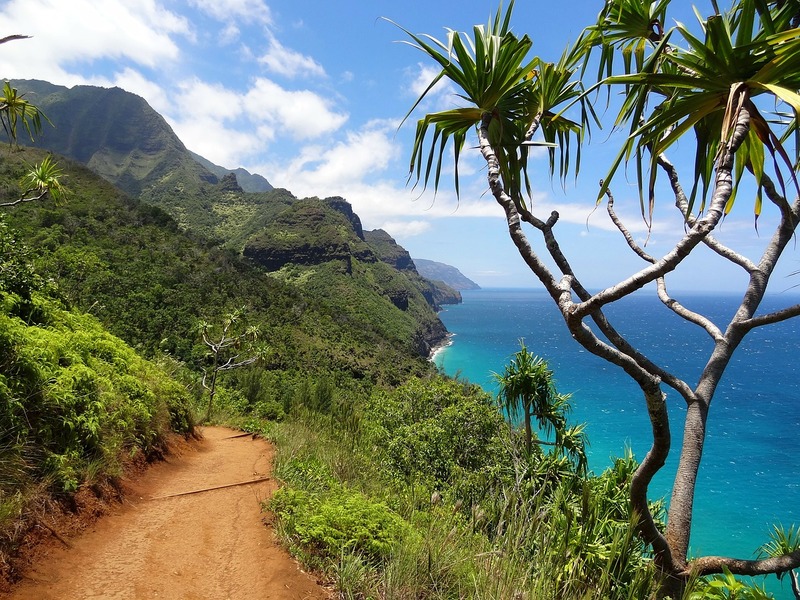 For adventure seekers, Kauai has some amazing options. There are helicopter tours, ATV tours, train tours, tube tours, whale watching, Dolphin charters, sport fishing tours, surfing and zipping. For checking out its charming coastline and wonderful waterways one could choose the ever so popular kayaking tours. Then there are the Island Tours which take one to the magical land of the Garden Island. The professionals ensure that visitors get to see the best in limited time. This location is what romantic novels and movies are made of. Be it romantic sunset, meteor showers, full moon nights or just staring at the star lit skies can trigger couples to get intimate. Trip to any place is considered complete only when we shop even if it is just bringing back gifts as souvenirs. There are a number of spots like art galleries and boutiques to pick up something you like. Also crafts fairs are nice places to find something you would like.